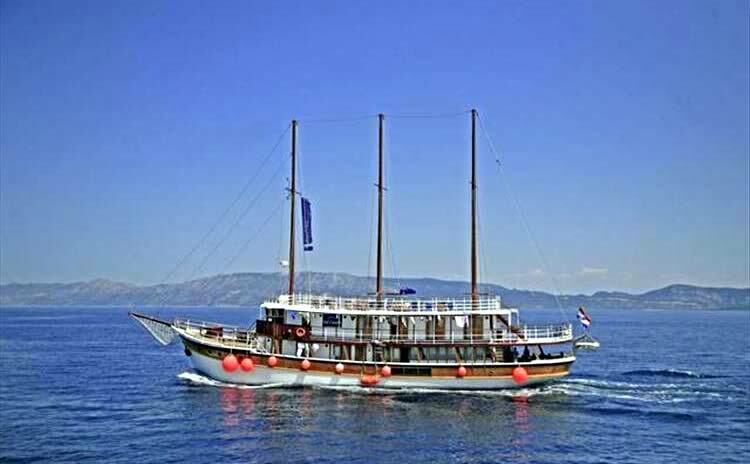 The majestic and comfortable three-master has been a member of our fleet for years, until its owners decided two years ago to organize another kind of cruises. 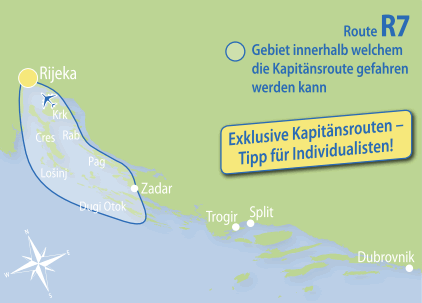 In autumn 2016 they sold the Sveti Vid – to no lesser than our friend and longtime captain Marin Mladin (also known as Cicak, in English "limpet", because of his beard) from the Otac Luka. 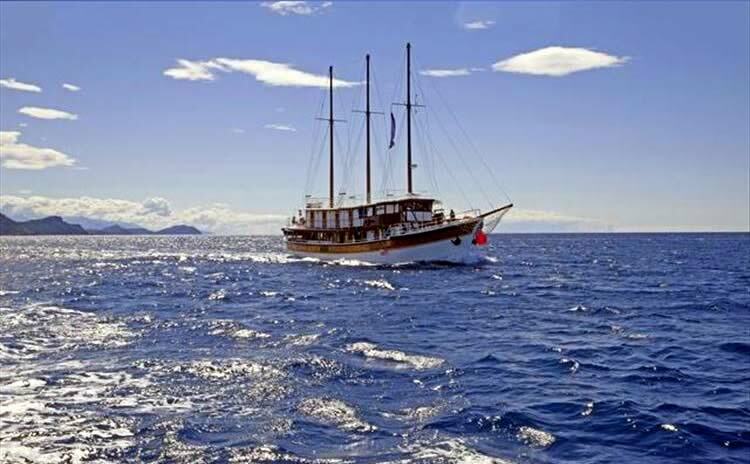 Together with his son Marin, and supported by an experienced crew, he will steer the Sveti Vid through the waters of the Kvarner Bay and Northern Dalmatia safely. 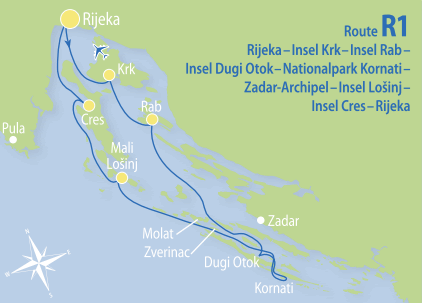 General data: Length 35.50 m, built in 1955, renovated in 2016. 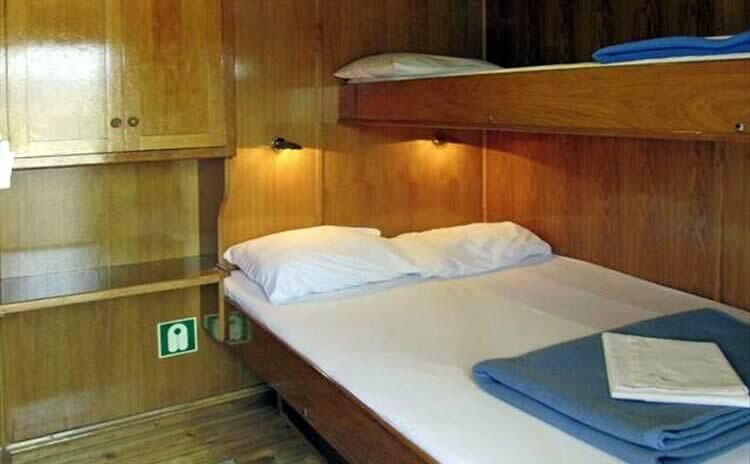 37 beds in 16 cabins with shower/toilet and individually controllable air conditioning. 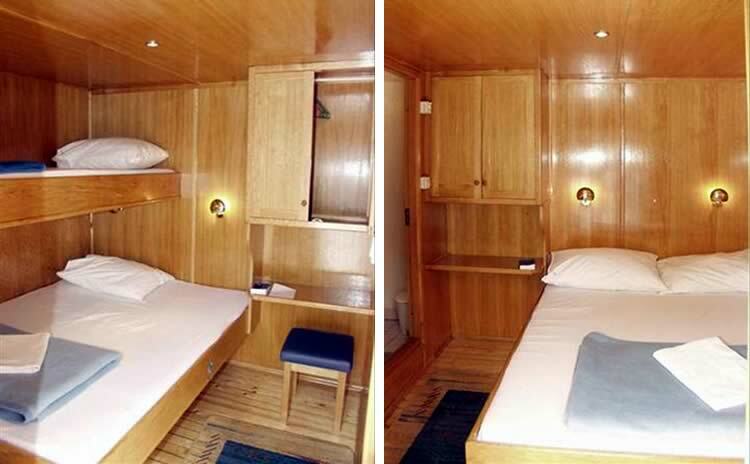 Main deck: 3 twin cabins with bunk beds, 1 triple cabin with queen-size bed (140 cm width) and 3rd bed above, 2 twin cabins with bunk beds (the lower bed is 124 cm wide and suitable for 2 children up to 12 years as well, e.g. for a single adult with 2 children). 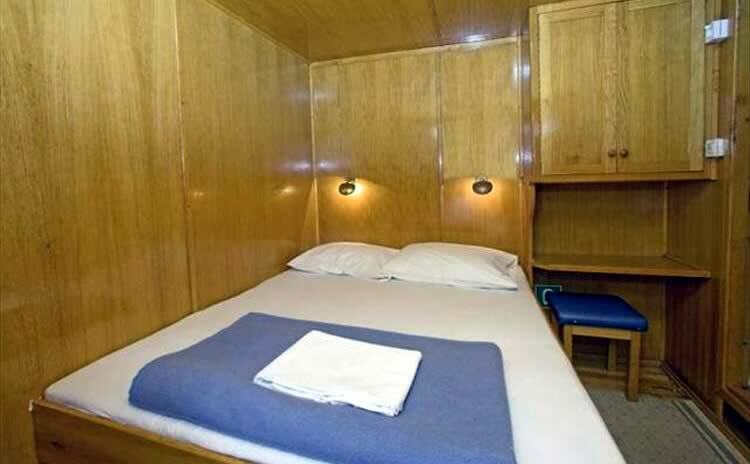 Upper deck: 2 twin cabins with separate beds, 4 double cabins with queen-size bed (140 cm width), 2 triple cabins with queen-size bed (130 cm width) and 3rd bed above, 2 triple cabins with queen-size bed (140 cm width) and 3rd bed above. Other: 2 showers/toilet. Sun deck (150 m2) with 30 deck chairs, table with benches on the front deck for approx. 10 persons. Saloon with air condition for 40 persons. 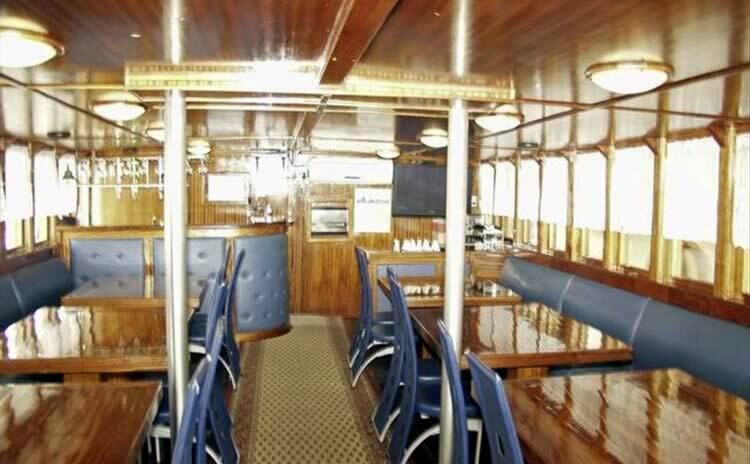 The saloon opens onto the covered part of the main deck, which comes with an outdoor lounge area with tables and benches for approx. 20 people, which can be closed with a tarpaulin.